Auction starts on Friday 14th of July in Salla village. You can see the cars beforehand on the preliminary audit on Thursday 13th of July between 2 pm and 4 pm and on Friday before the auction from 10am to 2 pm. On Friday there will also be representative from customs to answer any questions. The cars are situated in Salla recycling station, 7 km from the village and the four extra cars are in Raja-Jooseppi. - Among the ”East cars” there are pearls for car enthusiasts. Ladas, Volgas and one ”marshrutka” GAZ Gazel city bus. Questions about the second auction have come and the old car enthusiasts are waiting for the last pearls. Hopefully this auction is going to be as successful as the first one last summer: everything went really well and people were on a good mood. It was a happy and also humorous event! Says Heli Karjalainen from Salla Tourism Marketing association. 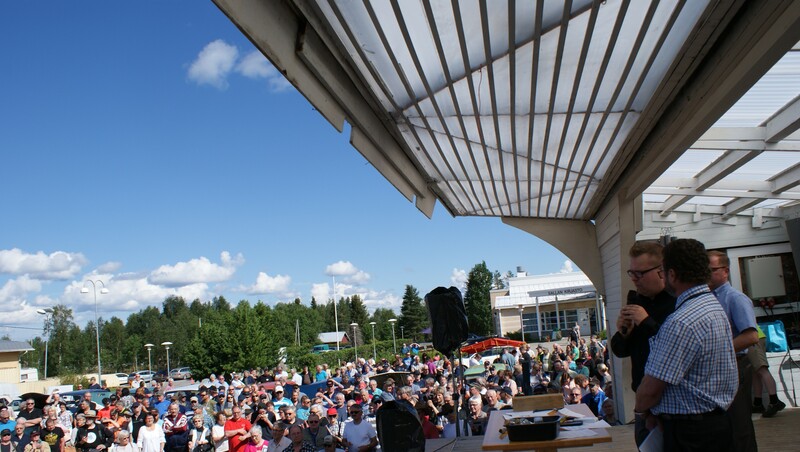 On the same day with the auction there is the traditional "Salla in the Middle of the Night” - event. It started when companies in Salla village decided to turn the day upside down because the sun is up 24/7 giving the same light at night as during the day. After the auction there will be a lot of happenings around the main street of the village: husky-dogs, different kind of competitions, lottery, great offers in the shops, live music, salty and sweet snacks all the way from afternoon to the night. It will be an event of good mood where is lots of things to do and see for the whole family. This all happens on the village centre, just around the auction area. House of Lapland is a marketing and communications house for the Finnish Lapland. We work to ensure Lapland’s visibility and appeal nationally as well as internationally. Internationally, we concentrate on marketing Lapland as a travel destination, a shooting location and a lucrative location for arctic business.